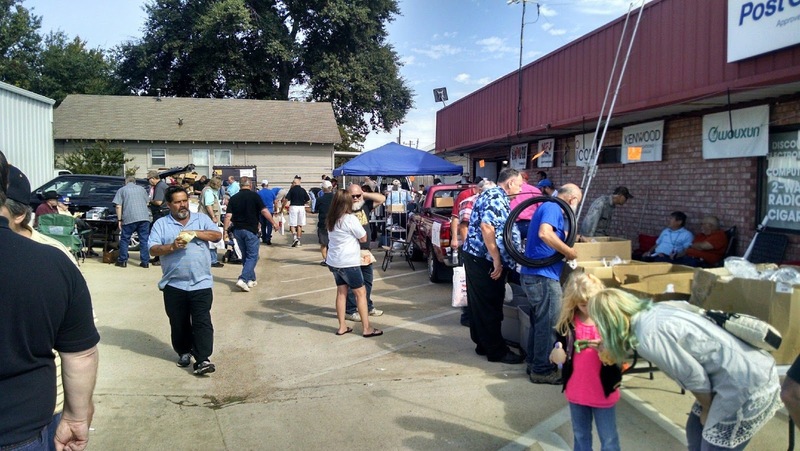 Rusk County Amateur Radio Club: Tailgating in Paris - Not France! Several Rusk County Amateurs flew into Paris this weekend for a little bit of radio culture. Instead of wine, cheese and stroll down the "Champs Elysees," local hams dined on hot dogs and shuffled around the flea-market booths. 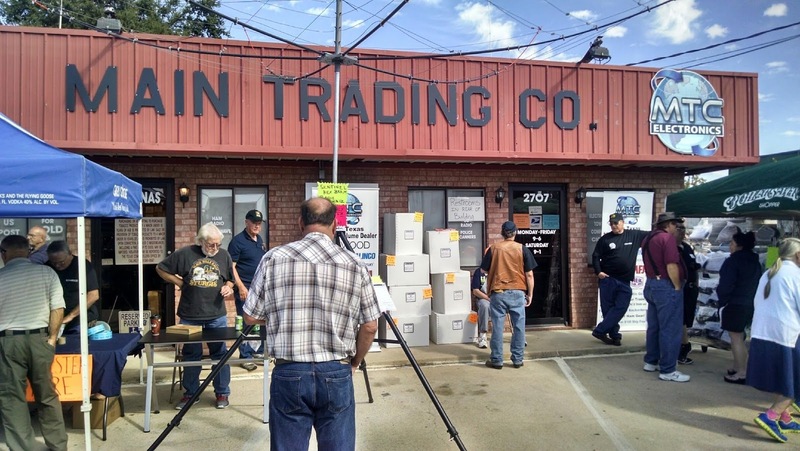 The Main Trading Company (well-loved by many East Texas amateurs) hosted a Saturday tailgating meeting in their hometown of Paris...TEXAS...complete with food and fun. In addition to giving away items throughout the day, several radio vendors were on hand to answer questions and show off new products.